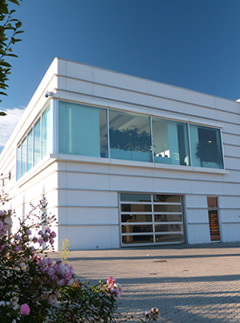 De Amtex SpA is able to meet customers' requirements, always aiming at the most innovative and efficient solutions. 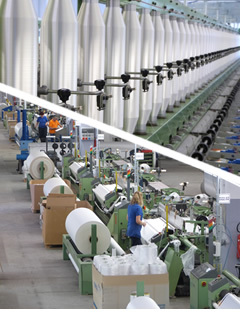 Our yarns and fabrics are mainly utilized for technical uses in industrial applications. 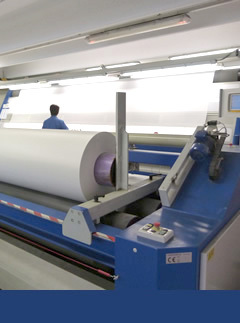 Well trained operators in each discipline are responsible for guaranteeing the best quality in each process. 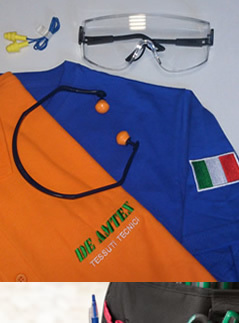 De Amtex SpA believes and is seriously committed to the creation and maintenance of an healthy and safe work enviroment. Jan 2013Recently we concluded the construction of an additional building with new offices and the reorganization and expansion of all the departments, showing the willigness of giving a new impulse to the production. New investments have been done on new machines with the most updated technology and on the formation of the staff in order to continuosly improving both quality and competitiveness.